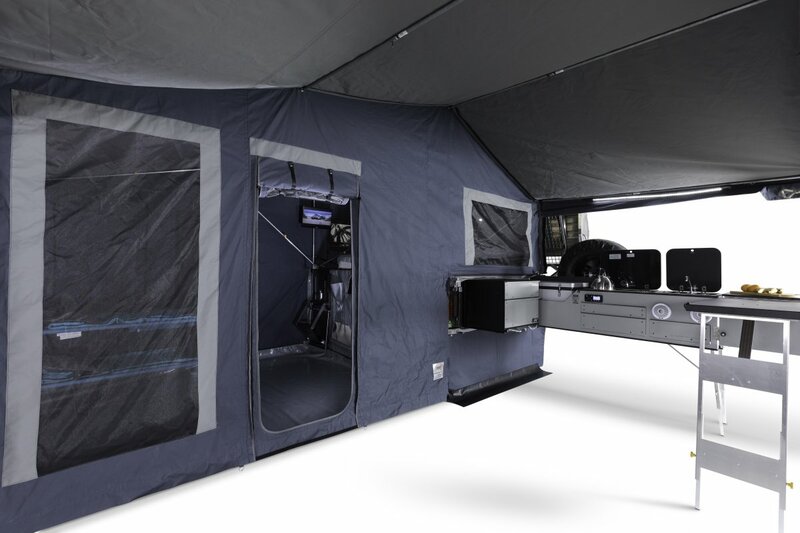 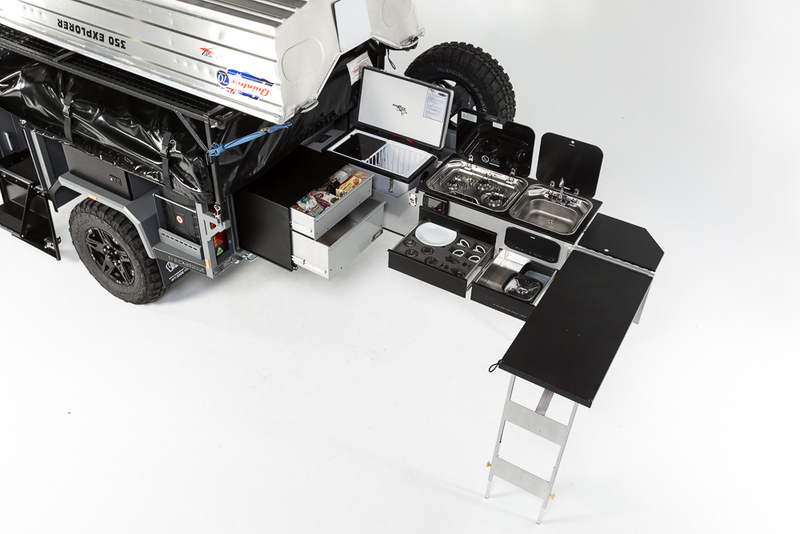 The off road camper that is built with storage and comfort in mind. 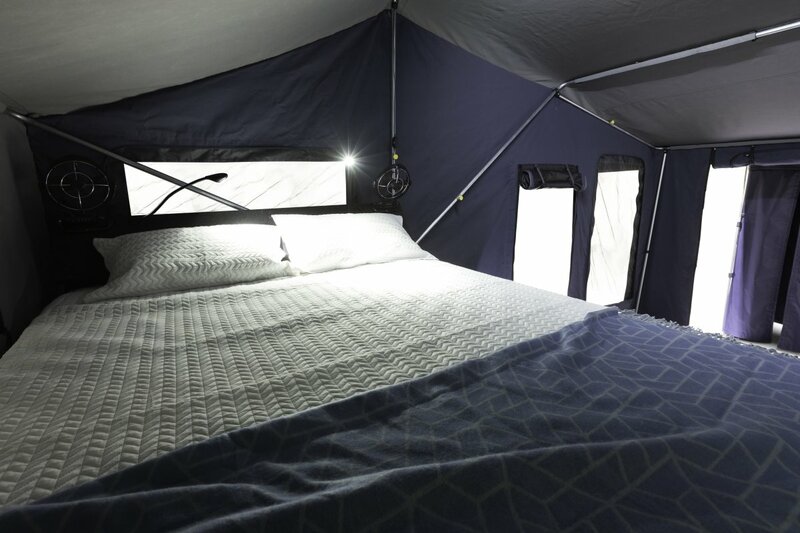 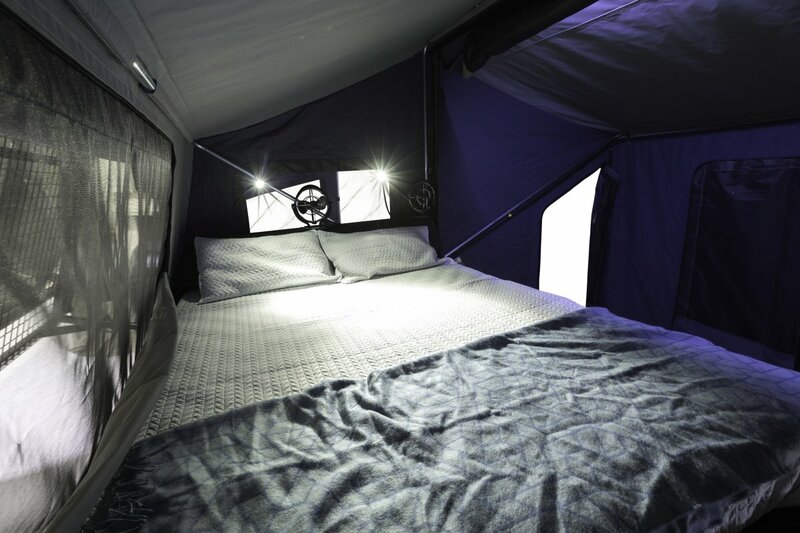 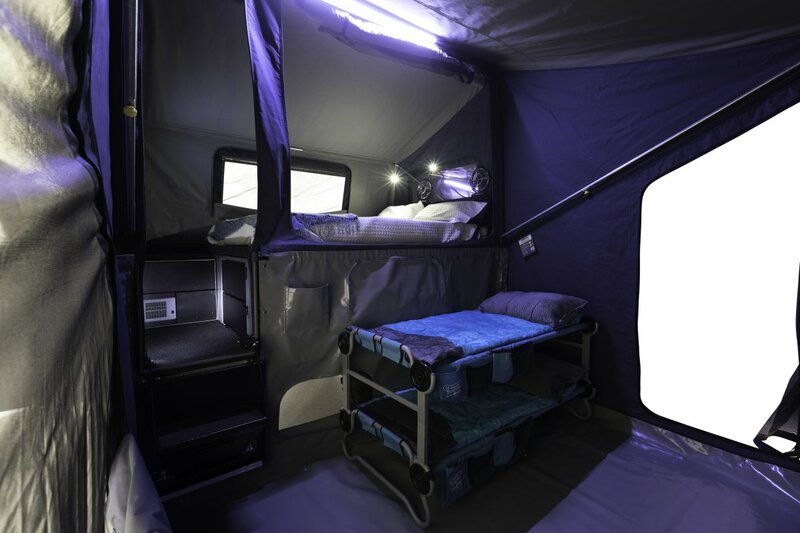 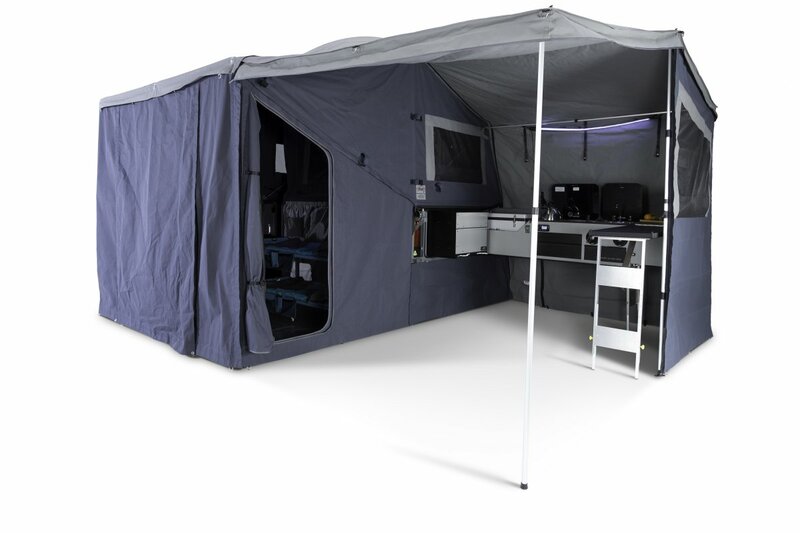 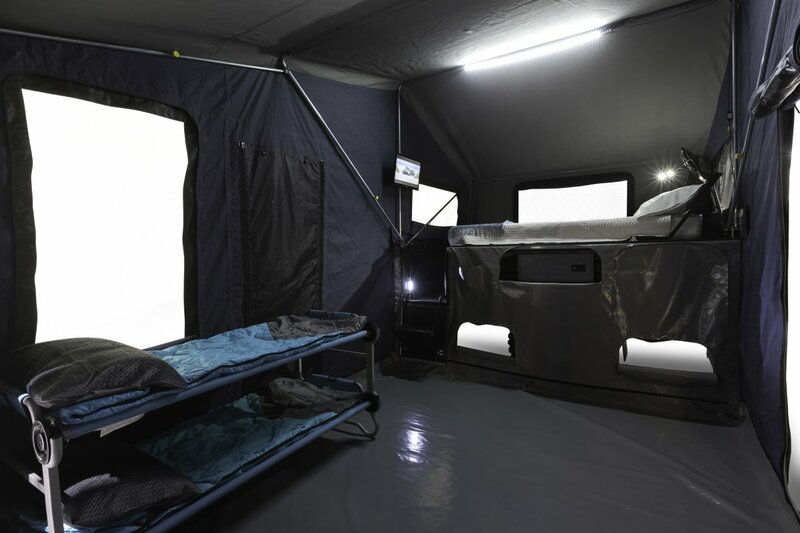 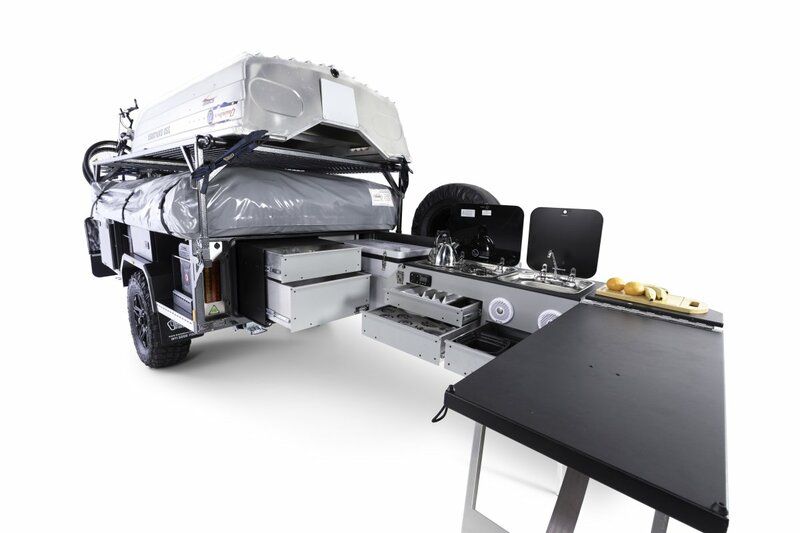 Our Extenda has been refined and upgraded over many years to become one of the most versatile campers available today. 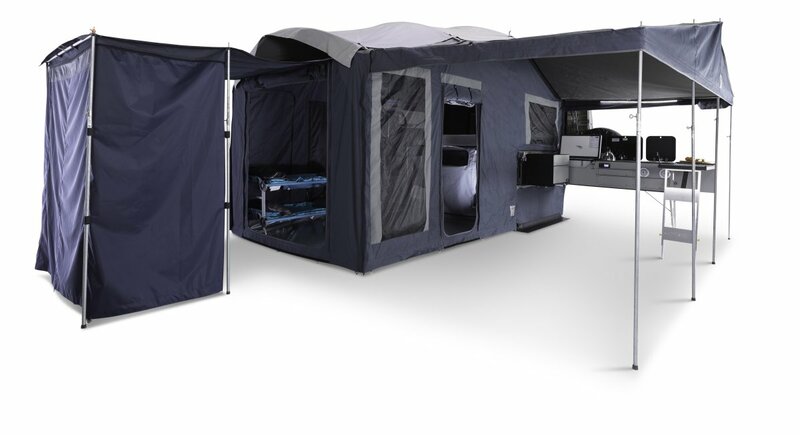 For couples chasing a bit more space, or families aiming to get away for weekends or that big lap you’ve been dreaming of. 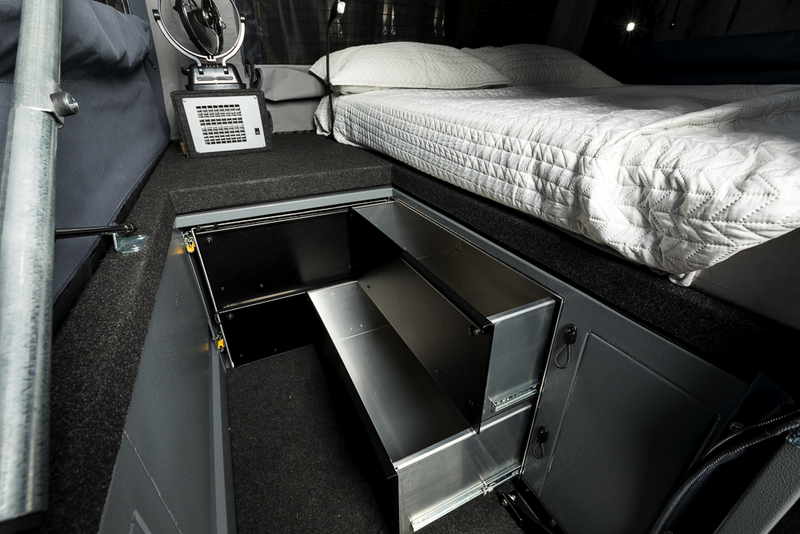 Boasting over 3300 litres of organised storage, this camper has the perfect mix of practicality, tough looks and 1st class finish. 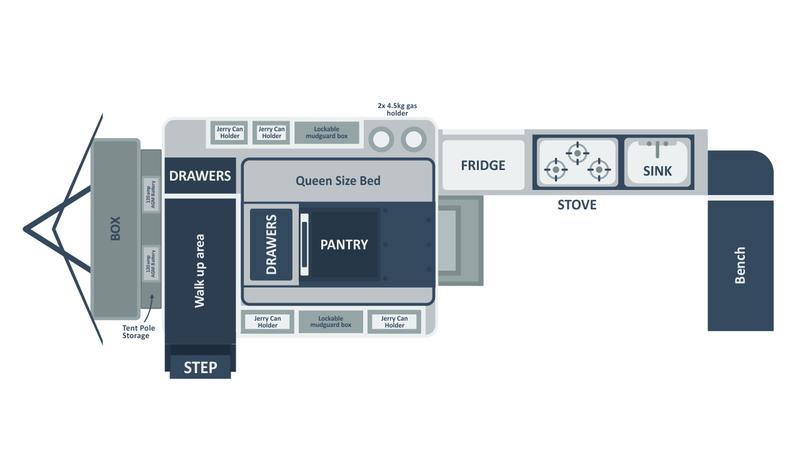 Keep everyone smiling with plenty of indoor space. 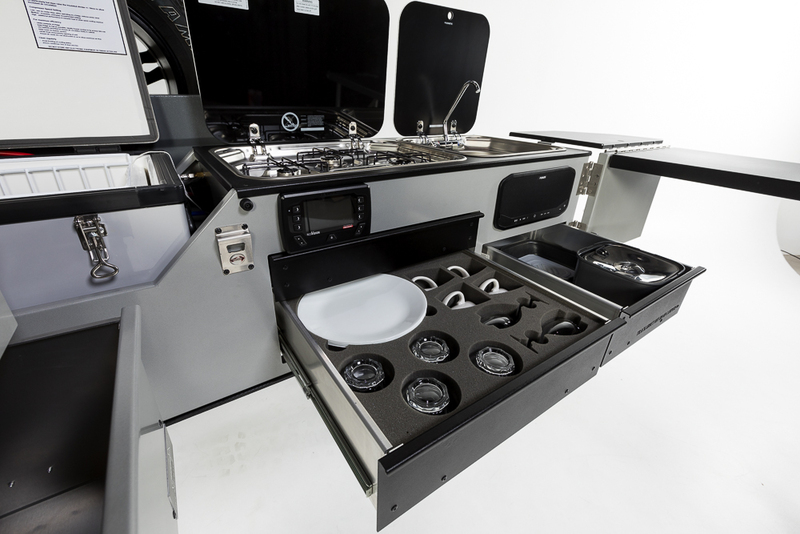 Arguably the best camper kitchen on the market thanks to its convenient layout and abundance of bench space. 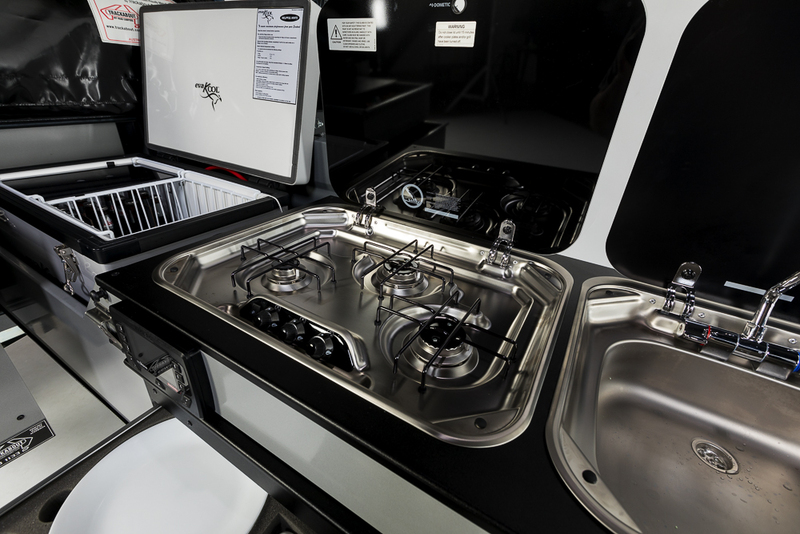 Our gourmet kitchens make camp cooking simple and easy with everything at your fingertips. 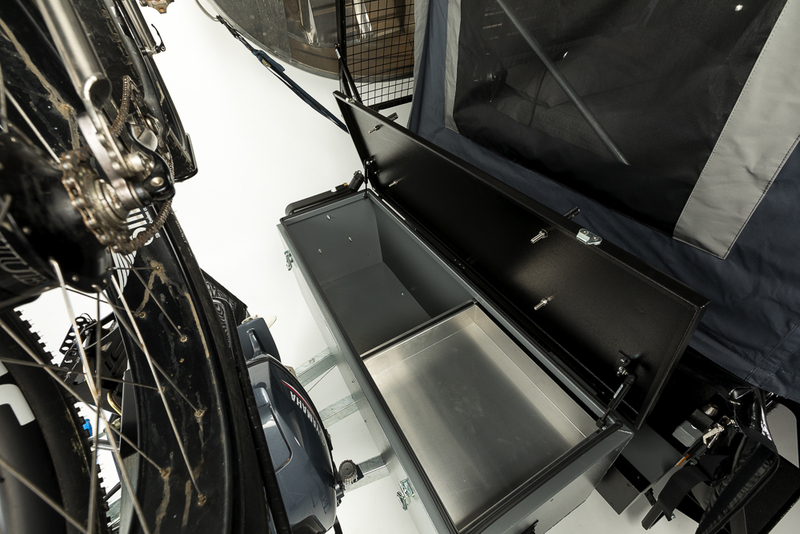 The Extenda is storage focused with an abundance of storage in all the right places. 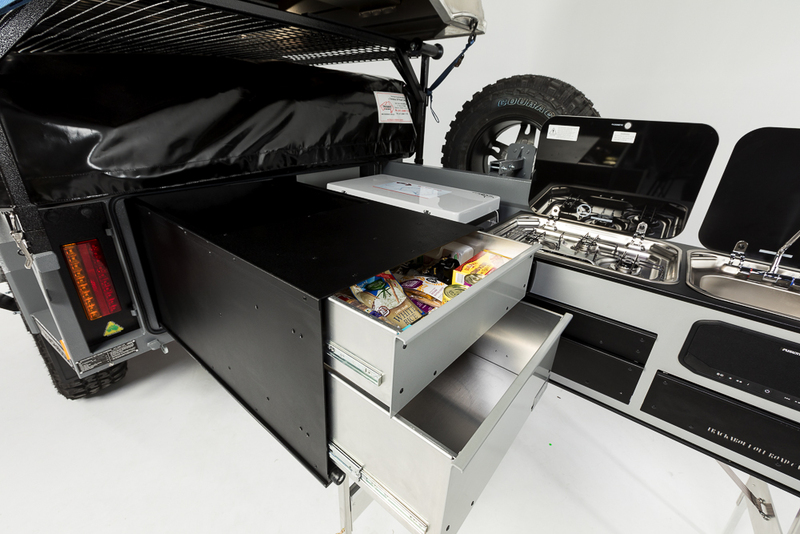 A large pantry has enough space to keep the family fed for weeks on end, dedicated clothing drawers, kitchen storage and plenty of room for any bulky camping gear will make weekends away a breeze and months on the road even better.